Woo-hoo! You're in the homestretch. 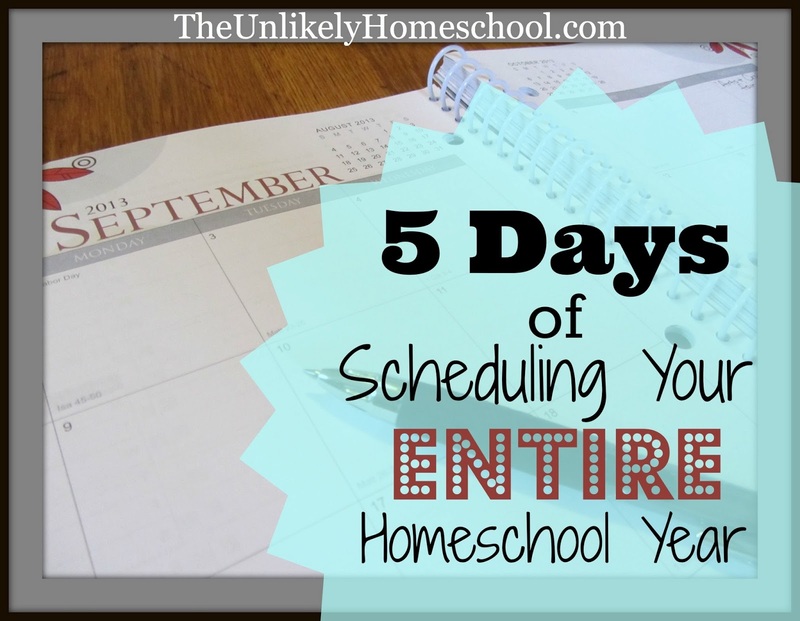 Over the last few days, you have learned WHY you might want to consider scheduling your homeschool year, and HOW to prepare a school-year calendar. You may have already begun plugging in your traditional-style curriculum plans to your Well-Planned Day Planner, or the planner of your choice. But all that was just a warm-up! Now you're ready to tackle some of the more difficult curriculum types to schedule...unit studies and living literature-style lessons. Let's face it, although these forms of learning provide an excellent opportunity for delight-directed learning, they can be a bit of a challenge to write in PEN. As I mentioned in the video, I schedule the main unit themes for the entire year. This keeps me accountable to stay on target...moving in a forward motion. I only schedule/plan the details of each main theme 4 to 6 weeks in advance. The unit study and living-literature study styles are rooted in learning through natural curiosities and exhausting a topic for all its detail. When beginning a topic of study, I don't always know how long we will want to "camp" on that topic. While I want forward motion, I also don't want to spoil the natural love of a topic by moving on just because the black and white page dictates that I must. By only detailing 4 to 6 weeks worth of plans, I can choose to extend the learning if I deem necessary, knowing that the lesson planner is a blank slate beyond the six weeks. Since the primary focus of this 5-Day series is SCHEDULING, I have not gone into intense detail about PLANNING unit studies. I realize, however, that the two go hand-in-hand. So, here are a few great links to help inspire you as you create enriching unit study lessons for your year. In addition, be sure to check out these planning forms to help you organize all your thoughts AND my Pinterest account to get inspired! Did you like the pretty planner I was using in the video?...If you're interested in having one of your own, be sure to head on over to enter to win a FREE copy! I actually jolted out of bed this morning thinking...I don't think I set them to public! Eventually I'll get the hang of it. Thanks so much for letting me know again. Same problem! :( You will fix it for us again though, right???? Loving this series! Thank you so much!!!! So excited--I need to get ,y planner so I can start! I really enjoyed the series, and it helped me out a lot. Thank you for taking the time to make these videos. I would LOVE to win this planner! 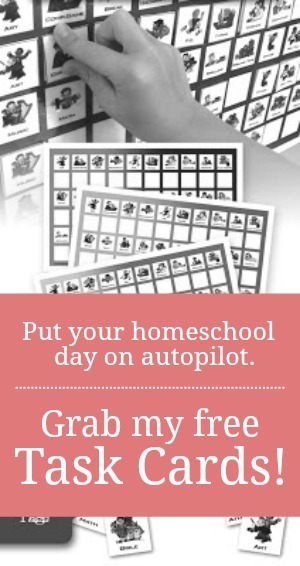 I'd jump the gun and purchase it already, but...hubby was laid off a year ago and have had to do creative budgeting especially with (free) homeschooling for the 2013-14 year! This 2012-2013 year was our first time hs!! I have 3 Godsends: dd-9 ds-6 dd-4! The feature(s) I think attract me the most would be the ability to have EVERYTHING in ONE place and being able to plan for 3 kiddos...with ease! Thank you for all your reviews and sharing your great ideas along... I did also print out your task cards a while back!! You are most welcome. I hope the task cards are working out for you. I am really thankful for this series you are sharing with us. This will be our first year homeschooling and this is just what I needed. How do you *choose* your History Units? You mentioned that Science was just whatever you felt like covering that year. Is History the same, or do you actually have some "order" to your History studies? Have you done American History yet? I was actually looking at TruthQuest this morning because I was thinking of what to do for History this year and thought, "What does Jamie do?" Ha! So I learned about TruthQuest. When I went to the site, I remembered why I'd glossed over it before: the whole "gathering books" thing. =/ I despise doing that. I would be more inclined to grab books off the shelf as you mentioned (actually, that's exactly what we do). Would you say there's still useful things in the TQ manual if I'm going the "grab it off the shelf" route? Or, do you think that NOT using their book suggestions defeats the purpose of using their handbook/manual/guide? Also: I've tossed aside the Well Planned Day for several years now, in favor of a "Teacher's Binder" that I put together myself (similar to the "Home Management Binders," except it's only for hs'ng). I've been stuck in my ways an d have preferred to use my Google calendar as well as my Excel sheet for budgeting. However, the more I watch you, the more I'm thinking maybe this will be the year I give one of those WPD planners a whirl. I can always toss it aside if it ends up not working out for us I guess! I think a big part of it is that I'm very eager to try out this "planning for a year" thing (even though we've been hs'ng for 9 years now, so definitely not a newbie). Since this CONCEPT will be new for me, though, I feel like I don't want to deviate too far from my "leader" (you!) and what she does, or else I might be in the middle of the ocean without a boat. So, I think I'm gonna take the plunge and give it a whirl! On that note, I don't know if I can hold out long enough for rafflecopter, LOL! If I end up winning, I'll pay it forward and bless someone else. :) Since you've taken the time to put together these videos, which was ultimately the decision maker for me, I thought I'd check with you to see if you have an affiliate link for the planner. I have no problem using your link if it'll help you out some! I see the button at the top right--is that an affiliate link? I am eager to order mine, but I can at least wait for you to answer (although, I can only hold out a few more days, haha!). PS: Have you ever used the WPD coordinating binders? I think I'm going to get one. I can't find them on their site anymore, but I see that CBD has them, so I think I'm going to get one. That way, I can still have that "binder" feel that I'm used to, while trying out this new planner. The history literature is already planned for me with the TruthQuest guide. That being said, if you are one that just likes to pull books off the shelf, I would NOT recommend the guide. It is pretty much just a book list. It has some extra commentary, but not much. The one perk, I guess, would be in having a chronological list of history already created for you. I sometimes have trouble keeping some of the sub-timelines of certain eras straight in my head. So, the guide has made it nice for me. One other word on TruthQuest..although it lists books that are activity-oriented (make a Grecian masks, eat a Grecian meal, etc. ), the guide ITSELF does not actually have any of those suggestions written out. I have to do all the leg-work and planning for any extras we do. It is strictly a chronological book list. Yes, we have done American history. Loved it! We did 2 years worth and then transitioned to state history from there. I have never used any of the other WPD planners. I have a friend that used the mother's planner (the smaller one) and although she thought it would work for a mom, it didn't really work for homeschooling. Yes, that badge on the top right of my blog is an affiliate link as well as any text link that I have included in my posts. Thank you so much for thinking of that. I haven't used the WPD binders, but I finger through them with longing at my annual convention each year! Thanks so much for reading! I've enjoyed chattin'. Too funny! You'll notice the oversized sweater on Day 2...I spilled water all down the sidet of my shirt moments before the taping. Day 3 was an "I don't want to do my hair" kind of day and for me, that always means pig tails. So glad you have enjoyed the series. It's been fun chattin' with REAL words each day...not just black and white ones.